, suitable for all kind printer. This sticker is non glossy surface, it seem like a4 copy paper but with sticker base. 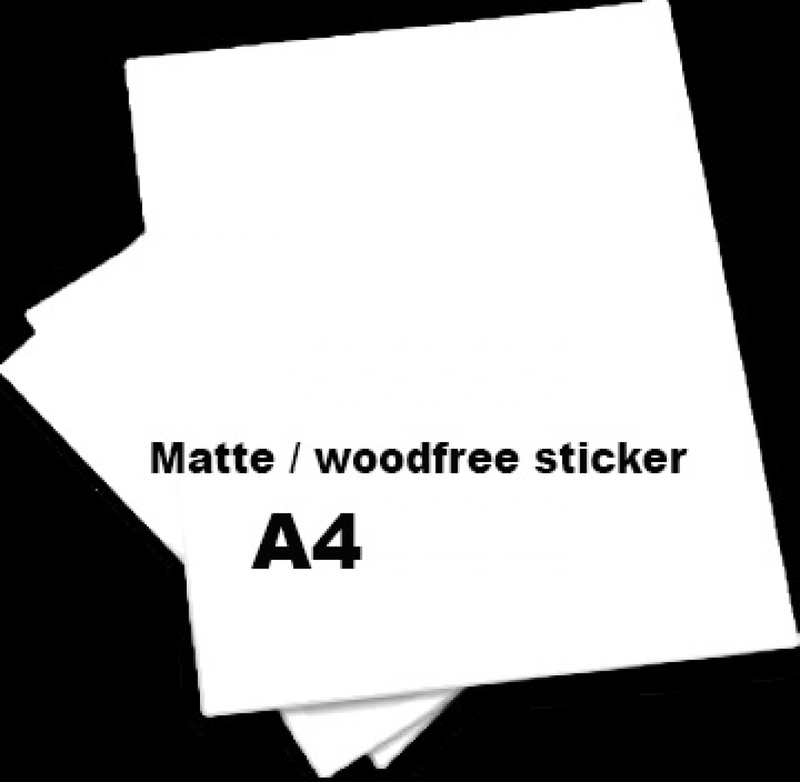 Wood free surface sticker, matte surface like how a4 copy paper. white color , suitable for all kind printer.